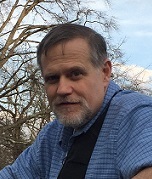 Michael Shane Holder, 47, of Opelika, AL passed away Sunday, January 27, 2019 at Emory University Hospital surrounded by his loving family. Shane was born January 31, 1971 in Atlanta, GA. He was preceded in death by his mother, Dorothy Ruth Holder in 2006. Shane is survived by his wife of 16 years, Sharie Holder; three sons: Blake Holder, Trey Holder, and Trenton Sadler; his beloved dog, Harley; his father, Jimmy (JoAnne) Holder; sisters: Nancy (Steve) Winslett, Pam Nichols, Elaine (Terry) Tripplett, and Debbie (Danny) Baker; brother, Kenny (Tammy) Culligan; his mother and father-in-law, Joe and Faye Freeman; and several nieces, nephews, great-nieces, great-nephews and numerous caring and loving friends. Funeral Services for Mr. Holder will be held Saturday, February 2, 2019 at 2:00 p.m. at Jeffcoat-Trant Funeral Home. Visitation will be held the evening prior, Friday, February 1, 2019 at Jeffcoat-Trant Funeral Home from 6:00-8:00 p.m. Interment will follow at Garden Hills Cemetery. Shane you were our rock and we will miss you dearly but we know you are at peace now with no more suffering. You will forever be in our hearts.